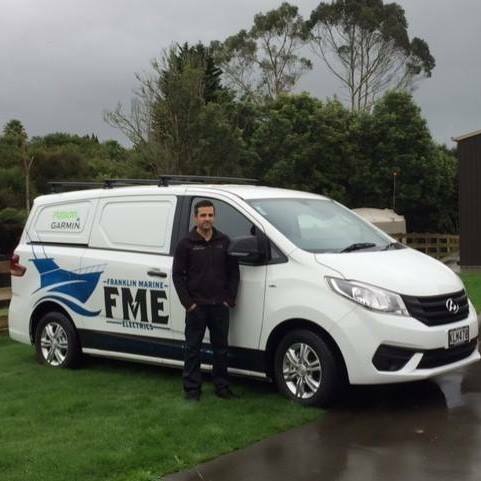 FME provides a mobile marine electrical service to all of Auckland including Tauranga and the Coromandel. All work is completed by a qualified and registered marine electrician! For your convenience we come to you – Mooring/Marina/or home. No travel time charge for minimum 2 hours work. Specializing in all electrical and electronic sales, installation and maintenance. There is no job, or vessel, too big or too small. FME is the preferred contractor to Buckland Marine (outboard specialists) and in partnership with www.bucklandmarineyamaha.co.nz as your authorized Garmin dealer and certified installer. Please phone or email for a no-obligation quote today.